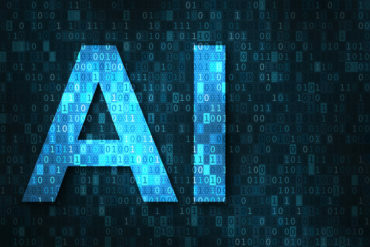 A Toronto-based artificial intelligence (AI) vendor is working with Zurich Canada to reduce errors and omissions risk in commercial insurance policies. Often commercial policies have dozens of pages with several endorsements, which someone needs to read for accuracy before the policy is issued to the customer. Someone needs to confirm, for example, that all references in a policy and its endorsements to insured address, deductibles and sub-limits are correct, Zurich Canada CEO Saad Mered said Monday during a press briefing in Toronto. “Quite often, they have to open up three or four screens and compare and contrast visually with their eyes. And you know what happens after page 52. Your eyes get tired and with the best of intentions, people still miss things,” added Mered. Toronto-based AI vendor Chisel is aiming to automate this process, Chisel CEO Ron Glozman said during Monday’s briefing. Chisel and Zurich Canada are working to develop a formal vendor agreement. “We are just going through the business terms right now,” said Glozman, who founded Chisel while he was a student at the University of Waterloo. Glozman recounted Monday the story of a different insurance client that he did not name. That client wrote a $700-million property policy on a building that was supposed to have a fire endorsement. But Chisel discovered, months after the policy was issued, that it lacked the fire endorsement, despite the fact that the client, broker and carrier thought that it had. Checking draft policy documents for accuracy is one function the Chisel software could perform for Zurich. Chisel specializes in natural language processing, which “is a scientific way of saying teaching computers how to read,” said Glozman. In essence, Chisel has taught its software how to read through insurance policy documents to identify and classify what AI specialists call entities – persons places or things, said Glozman. Chisel has identified more than 500 entities that are specific to insurance – such as limits, deductibles, vehicle numbers, driver information, building size and how many units are in a building. The software has been trained on more than a dozen lines of insurance, including directors and officers liability, E&O, cyber, crime, inland marine, aerospace and pharmaceutical. Zurich could use Chisel’s AI software to read incoming correspondence from brokers and then match the correspondence with a tool such as pricing or quote generation. “The stuff that comes at us from brokers, distribution partners or lawyers is an immense amount of work that has to be sifted through manually every day,” said Mered. Chisel placed first in Zurich’s Innovation World Championship, held last month. Chisel competed against more than 400 technology startups from 49 countries.